Home / News / Coinadrink / Why Be A Free Rider, When You Can Have Your Say? Why Be A Free Rider, When You Can Have Your Say? People sometimes raise their eyebrows when I tell them Coinadrink is a member of three trade associations, but I’ve always appreciated the benefits of ‘getting involved’. Historically, a trade association is an organisation founded and funded by businesses that operate in a specific industry, or in the same geographical area. Members agree to put self-interest to one side, in order to act collectively for the greater good of their industry, their region or even their country. This remains their core activity; but over the years, trade associations have had to widen the services they provide to members, to make ends meet. They‘ve had to go down this route because many companies that are eligible for membership – whilst they’re happy to embrace any benefits brought about by the association’s efforts – choose not to pay a membership fee. Increasingly, trade bodies are having to look to commercial activities in order to supplement their subscription income. Most of them these days admit that they need to cover off around 25% of their costs by exhibitions, dinners; training services, legal help lines and so on. gh, membership fees are here to stay. The three associations of which Coinadrink is a member are very different. 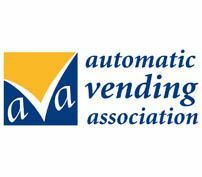 The Automatic Vending Association, or AVA, represents us in all the regulatory matters that require compliance, a lot of which originates in Brussels. It’s been a strong voice for vending over time, ensuring that we’ve not been victims of The Law of Unintended Consequences, thanks to poorly thought-out legislation. Our local chamber of commerce does an invaluable job in keeping a close eye on what the local authorities are doing and the CBI does a similar thing at National level – with the added advantage of having a direct link to the Prime Minister, Senior Ministers and the Civil Service. It is bi-partisan so has good lines of communication with the all the main political parties. So, what do you think all this expert knowledge and back-up costs us as a company? We get all this for less than £5,000 a year and in my view, that’s a small price to pay to benefit from the work being done by these three great organisations . Our membership of them enables us to trade on a level playing field with a degree of certainty about the future direction of our industry and our business. It’s easy to be a ‘free rider’, but you feel so much more empowered when you became a member of your trade association and have your say on major issues as they happen.